Last week I headed out to Tahoe City, CA to attend Alpenglow Sports’ Summer Mountain Festival. Alpenglow is one of the absolute best ski / camping / trail running shops in the Tahoe area, and frankly, one of the best shops in the country. Which is why it is on our list of Blister Recommended Shops. Alpenglow Sports, Tahoe City, CA. So what did nine days of celebrating human-powered mountain sports look like? Well first, it looked like a total bargain — many of the festival’s events were free, and others had a very small fee considering what you were getting. The events spanned a wide range of activities, including morning yoga sessions, paddleboarding on Lake Tahoe’s impossibly clear blue water, trail running on the expansive trail system around Tahoe City, backpacking through the Sierras, climbing at the local crags — there really was something for everyone at the festival. Trail Running at Alpenglow Sport’s Summer Mountain Festival, Tahoe City, CA. One of the most memorable events of the festival that I attended was a trail run led by some of Salomon’s professional athletes, including the incredibly talented and humble Courtney Dauwalter. Literally just a few days after I was on a run — with Courtney Dauwalter — casually conversing with her about life, racing, and our shared appreciation for junk food, she went on to win the women’s category of the Western States 100-mile endurance run (aka, the world’s oldest 100-mile run, and one of the most prestigious). Salomon’s Francois D’Haene and Lucy Bartholomew were also at the festival hanging out with attendees, and they each finished second and third in their respective categories at Western States. So yeah, running with incredibly nice, world-class athletes — that’s the sort of thing you get to do at this Mountain Festival. And not only that, but Courtney and several of the other athletes were also teaching clinics on trail running technique that I think runners of any experience level could benefit from. 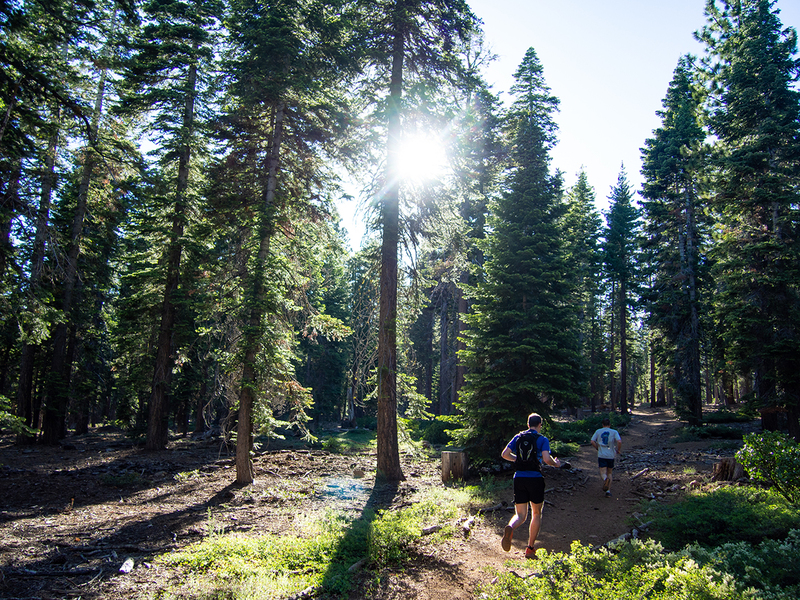 And for those who did want to push themselves, the festival kicked off with the Broken Arrow Skyrace at Squaw Valley. Broken Arrow is part of the US Skyrunner series and offered several distance options, all of which featured tons of elevation gain, steep terrain, and a guarantee that you’d feel pretty proud of yourself at the finish. That race is no joke. Beyond the events themselves, I think the thing that stood out most to me about the Mountain Festival was the people involved and how passionate they were about introducing others to new ways of enjoying the outdoors. And that’s really a reflection of Alpenglow Sports — I’m not aware of very many (or any?) other shops out there that are putting on events of this magnitude. It’s very clear that Alpenglow Sport’s owner, Brendan Madigan, and the rest of his staff are extremely passionate about the outdoor sports community of the Lake Tahoe area and beyond. I think what they’re doing is awesome, and something that’s really unique in the industry. 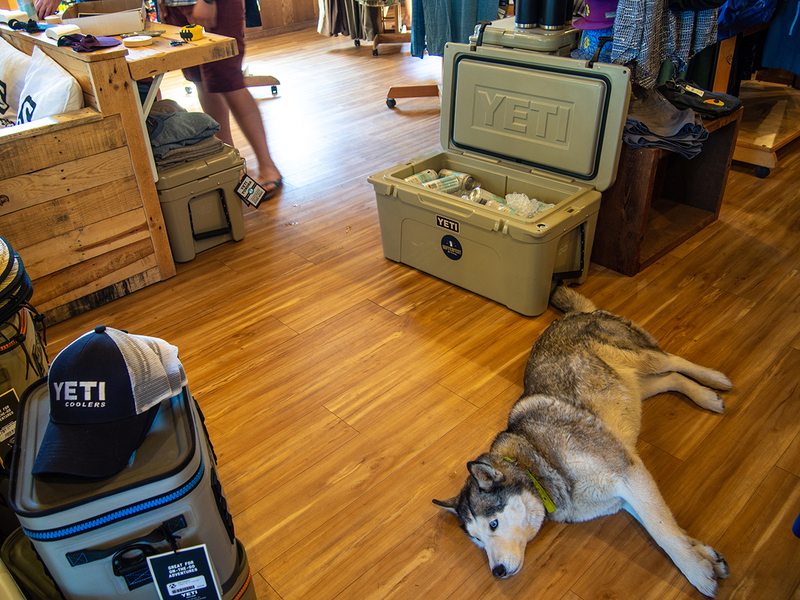 Shop dogs and beer: all you need after a long day outside. Alpenglow Sports also puts on a Winter Mountain Festival, and the next one will be happening from February 16-24, 2019. Blister editor, Sam Shaheen, attended the Winter Mountain Festival this past year and was really impressed by it. So we’d definitely recommend putting that on your calendar if you like the sound of guided ski and splitboard tours, snowshoeing, nordic skiing, avalanche education, and much more. 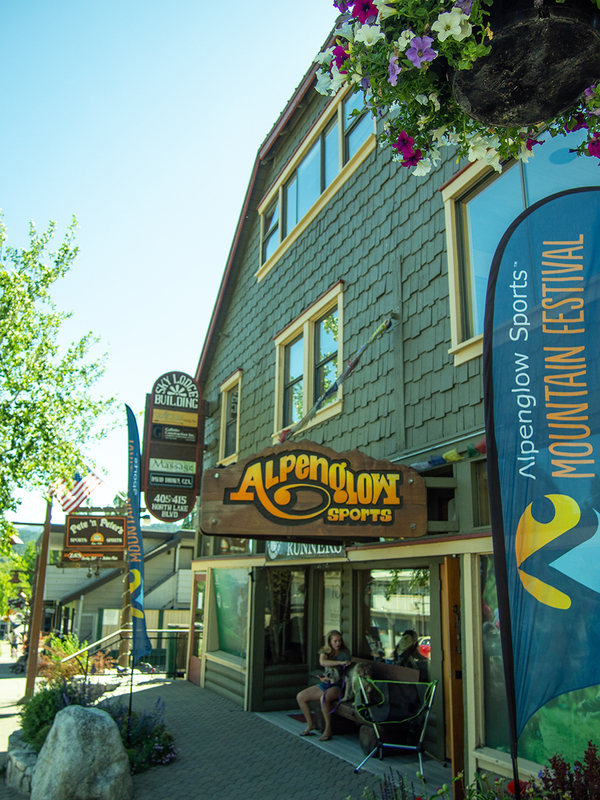 Learn more about Alpenglow Sports and why they’re one of our Recommended Shops.